. : Optics & Photonics Focus :: Darkness Amplification by Stimulated Absorption of Radiation, No Kidding! :. Red, green and blue lasers play a key role in everyday life. X-ray lasers are still in their infancy. Building on the principles of visible-light lasers, however, it is possible to produce better X-rays. In the 60s, the anti-laser concept was invented alongside the laser concept. It was a joke then, but recent research shows how interesting physics does lie within this concept. Laser versus dasar. 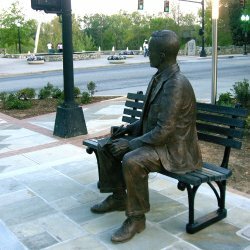 The story goes that Charles H. Townes first thought of how to implement a working laser while sitting on a bench. In 1960, the laser –- light amplification by stimulated emission of radiation — was eventually invented. As a parody, the dasar -– darkness amplification by stimulated absorption of radiation — was also invented in Townes’s lab. In 1960, the laser — light amplification by stimulated emission of radiation — was invented. The dasar — darkness amplification by stimulated absorption of radiation — was also invented… as a parody in Townes’s lab, of course. Surprisingly, Yidong Chong and colleagues in the group of Douglas Stone at Yale University (Connecticut, USA) have now shown that new physics lies within the dasar — or anti-laser — concept. In a standard laser, light is forced to bounce back and forth across a material and is thus amplified in the process. "Lasing comes about as a combination of constructive interference — the self-interference of the light bouncing back and forth across the amplifying material — and amplification," explains Chong, "which, of course, involves the conversion of electricity, or some other source of energy, into light." A dasar works in exactly the opposite way as a laser and, at least in the original playful meaning, can be implemented with several ordinary objects. Take, for example, a black sheet of paper. If you shine a bright light on it, most of the light will get absorbed and dissipated through heat, but this is not just it! "We were explaining how a laser works to a visitor some months ago," says Chong, "when Prof. Stone pointed out that one way to understand this is to think about the reverse process, where an incoming light signal is completely absorbed by a body. We realized that there is some interesting physics lying within this concept and that work could actually be done." The proposed device, or Coherent Perfect Absorber (CPA), is described by the very same equations describing the laser, just with dissipation instead of amplification and destructive interference instead of constructive interference. Light is therefore perfectly absorbed by the device and converted into some other non-optical forms, such as electricity or heat. In Chong’s words, "the properties and shape of the device are designed in such a way that the outgoing component of the scattered light interferes destructively with itself and never escapes the device. The light is trapped forever into the object and completely dissipated into electricity, heat, or other forms of energy." While a black piece of paper is a trivial and imperfect implementation of a dasar, the CPA requires specific material properties and a full understanding of the underlying physics. "The CPA effect depends on interference and, therefore, it only works at specific frequencies," Chong explains. "We cannot use it to replace absorbing materials. However, for a given size of the device, at these specific frequencies, it is possible to achieve much higher total absorption in a CPA than in any other material in absence of interference. In principle, any dissipative material can be used to make a CPA, in the same way that there are many different materials used to make lasers." Several devices have been invented in the past few years that operate along similar lines, such as resonant absorption modulators or critically coupled resonators. A single input beam can be sent into a device whose shape, for example, is optimized to increase the amount of light dissipated by the absorbing material. "Typically these devices make use of the most basic version of the CPA effect," Chong points out. "What we have done is to use the laser analogy to shed light, so to speak, on exactly how these devices work and to point out that the absorption can in principle be perfect, except for quantum fluctuations and other forms of noise." "Under proper conditions, one can have nearly 100% absorption in CPAs," comments Marin Soljačić at MIT (Massachusetts, USA). "In regular absorptive materials, this number is never 100% unless the material is very absorptive, and/or large in size. CPAs can be made even from not-very-absorptive materials and with moderate sizes. Also, the same system could allow one to control the absorption process from very small (1%) to very large (nearly 100%) percentages." Only the future will reveal the potential of the anti-laser, but do keep in mind that even the laser at its beginning was referred to as a solution looking for a problem. Y. D. Chong, Li Ge, Hui Cao & A. D. Stone, Coherent Perfect Absorbers: Time-Reversed Lasers, Physical Review Letters (2010) 105, 053901 (link).